With 85% of the UK population stating that they have used Internet, it is becoming clear that companies can now approach a wide range of people by implementing online strategies. Apparently this is something that many have already realized since 1/3 of the advertising spend is going into Digital Marketing. But what British do when they are online? According to last year’s McKinsey & Company report, UK citizens spend on average 289 minutes per day on the web excluding the time consumed on search engines and online shopping. From this time the vast majority, 61 minutes, is used for Social Networking purposes followed by Internet browsing (52 minutes), reading/writing emails (40 minutes) and editing documents or photos (23 minutes). More details can be found on the following diagram. It is true that Social Media have a long time now proven their popularity and their cost effectiveness, so the only question remaining is in which Social Network a company should put its main focus according to its products/services and target audience. 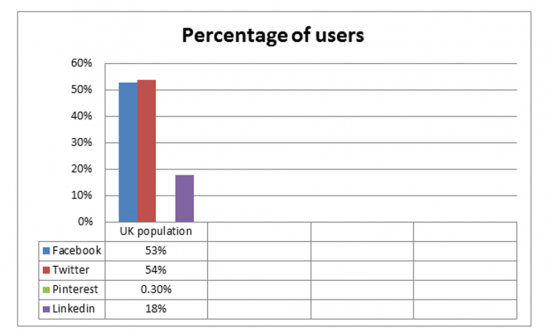 Starting with the proportion of the UK population who has an account on some of the most popular platforms, a recent statement that Twitter is now the leading Social Media network has thought by many as an exaggeration. The only thing for sure is that Twitter is becoming increasingly popular since its last year’s reports were mentioning a number of 26 million users which equals to a percentage 12% smaller than the current one. Second in the list is Facebook (53%) with more than one billion active members worldwide (1/7 people) and interest also present some more niche players which are Pinterest (0.3%) and LinkedIn (18%). Before the final choice it is important for a company to take under consideration the age group, the gender, the interests and the income of its customers. 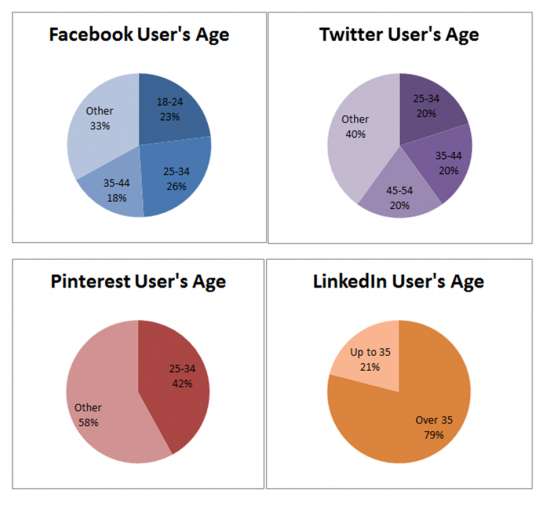 Whereas Facebook for example might be more suitable for targeting people up to an age, Pinterest and LinkedIn members are in their majority over 35. 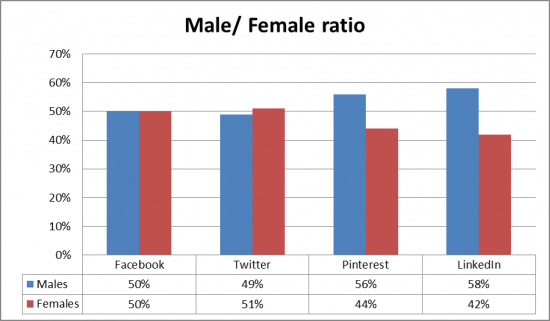 As far as the gender is concerned, although the two leader networks’ male: female ratio is equal, Pinterest and LinkedIn are proven to be more popular with men. 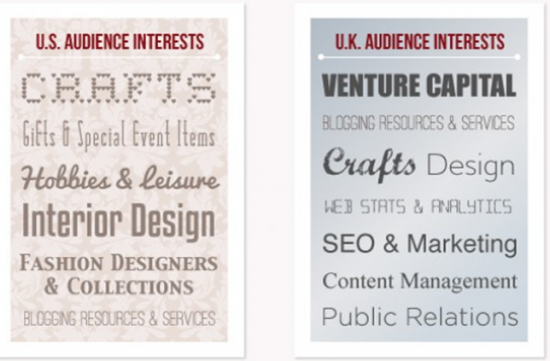 The above mentioned statistics about Pinterest in the UK are really surprising since in the US 83% of the 12 million unique visitors are women interested in crafts, gifts, hobbies & leisure, interior design and fashion! UK users on the other hand are mostly searching for venture capital, blogging resources, web statistics, SEO, marketing and public relations. Another major difference about Pinterest users in the two continents is their income and impressive is the fact that 29% of the UK members are in the highest income bracket, in comparison to the equivalent number in the US which is not bigger than 3%. In the question is social media a trend that is soon going to fade, the answer is no. People love the idea of interacting with others and being able to participate in brand building activities, the only thing that could change is the mean used. To be more specific with 60% of Britains owning a smartphone able to connect to the web and the tablet ownership having increased by 9% during a year’s period the fact that 16,4% of the internet traffic does not come from laptops and pcs is something predictable and in fact this percentage is expected to increase. 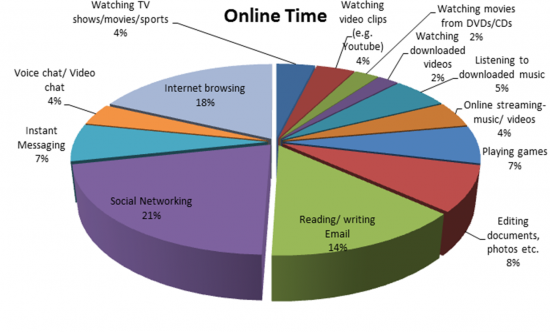 McKinsey & Company (2011) Minute by minute: How do global digital consumers spend their tech time? Consumer and Shopper insights.